* 1. When you scheduled your appointment with us, was the scheduler friendly and helpful? * 2. Which office were you seen at last? * 3. Was the receptionist at check-in and check-out friendly and helpful? * 4. Was the Medical Assistant/Nurse professional courteous and helpful? * 5. Which provider did you see? * 6. Was the Dermatologist, Nurse Practitioner or Physician Assistant attentive to your medical needs? * 7. Would you recommend Dermatology Associates, P.C. to a family member or friend? * 8. How did you hear about us? * 9. If you spoke with our billing office about a referral, authorization, insurance eligibility, or bill; was that person helpful and friendly? 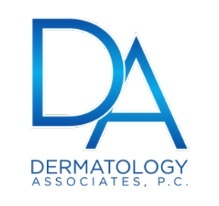 Our providers and staff at Dermatology Associates, P.C. strive to make each visit exceptional. We appreciate all positive feedback however, if you were not satisfied with the care received, we would love the opportunity to call you and discuss what happened. We need your feedback to help improve future visits. We appreciate you selecting Dermatology Associates, P.C. for your dermatologic care. Thank you for taking the time to fill out this survey; our management team reviews every response. If you would like to provide us with any additional comments, please type them below. In addition, if you would like to speak with someone about your experience, please call Jill Chiasson, Practice Manager, at (781) 762-5858. Thank you.